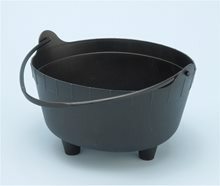 This 8" Cauldron with handle is essential for all your witch brew needs. 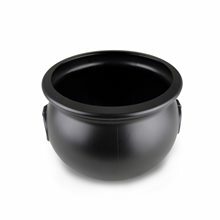 Attract the kids and even adults at your Halloween party by adding dry ice for smokey effect. 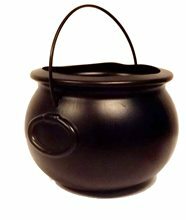 This prop is also great for Halloween office or classroom decorations. 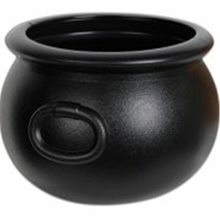 9.5in Cauldron.Includes: One 9.5in Cauldron. 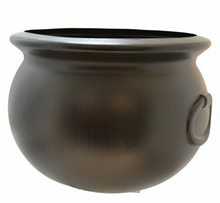 Dimensions: Approximately 9.5 inches in diameter. 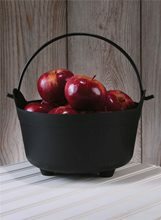 *Apples, Costume and Accessories Not Included. Sold Separately. 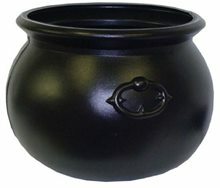 Complete your Halloween decor with this awesome 9.5in Cauldron! 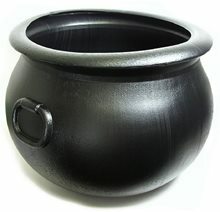 8.5in Cauldron.Includes: One 8.5" Cauldron. 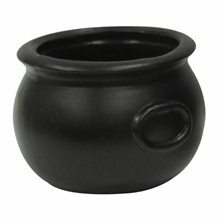 Dimensions: Approximately 8.5 inches is diameter. *Costume and Accessories Not Included. Sold Separately. 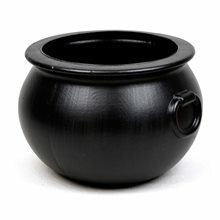 Complete your spooky halloween decor with this great 8.5in Cauldron! 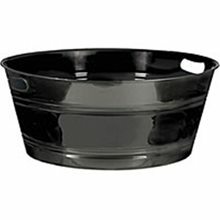 Black 20in Plastic Tub.Includes: One 20" Black Plastic Tub.Dimensions: 20in Across x 10in Tall.Put party drinks on ice in our Black Plastic Party Tub, featuring a durable, reusable design with firm grip handles and generous depth. 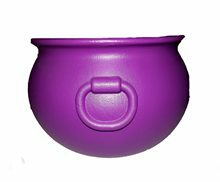 Multi-use plastic tub measures 20in across x 10in tall.